The LSAT is almost here. Test day is when you finally face the LSAT in glorious combat! To this end, I’ve got some additional ‘problems’ that you may encounter on test day and advice on how to solve them. 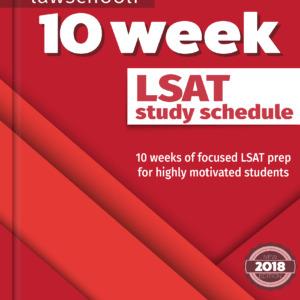 The night before the LSAT will probably feel a little like the night before Christmas (or equivalent), and maybe you’ll have a hard time falling asleep. The next morning when you wake up, you’ve got an hour drive to the test center, a slight headache, and a generally gloomy outlook on life. Solution: Calm down and follow the routine that you should have already set for yourself on the morning of the test. If you usually drink coffee, drink coffee. If you don’t drink coffee, please don’t start now. Eat foods that you know don’t affect you negatively. Select foods that will provide you with plenty of energy for what you have to do. I had a BLT on an everything bagel. There is no getting around test-day jitters completely. In movies, we see FBI agents, doctors, fighter pilots, and the like face down incredibly tricky and tense situations with total equanimity. I don’t think big challenges work like that in real life. Being completely calm on LSAT test day (without medication) probably indicates a mental abnormality. Solution: Accept that your stress level is going to be a little high and focus on what you have to do: sit down and do the same kind of problems that you have done thousands of times over the last few months. If you have prepped adequately, I promise that once you open the test booklet, it is going to be surreal how automatic it feels. You’re going to be so zoned in and focused that you might think hey, maybe I could have been a fighter pilot. The LSAT has stringent rules and violating any of them could result in major problems for you. Here, for example, is someone who almost had a notation put on their report because they sipped water while the test booklets were being collected. Solution: This one won’t be a problem because you already read the 5-page admissions ticket several times over and have exhaustively researched what you can and can’t do, as well as what you allowed to bring in to the test center. If you have not done this, do so now on LSAC’s page on the day of the test here. For my administration, I went to an LSAT test center at Mount Holyoke College in Massachusetts that I have to say was well-run. Nevertheless, it was still half an hour past the appointed start time before we got down to business. From what I saw on various forums, this was an absolute best case scenario. Expect tons of small delays caused by annoying people. Solution: Be ready for it. While I suggest that you stay detached and just don’t let it get to you, I think the best thing is to do a little research on your center, so you know what to expect. 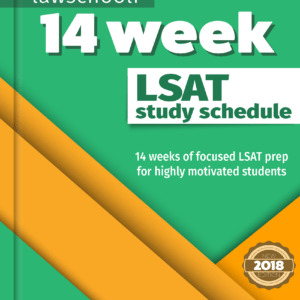 Check this LSAT test center wiki and search forums to see if there have been any real red flags raised about how things are run at your testing center. That doesn’t mean it is necessarily going to happen again, but if it does, you won’t freak out so much. Janitorial staff kept popping in and out during my examination. What’s worse, I think I saw some lunkhead looking ahead in the test booklet to narrow down which section was experimental. This brash move, of course, was outright cheating. From what I have heard, it isn’t entirely uncommon for these sort of things to happen on test day. Solution: Chill. Taking the time to scowl at these janitors would expend precious seconds better spent on rechecking difficult questions. Just put your head back down over you booklet and get back to work. You may have already taken some practice tests in distracting environments to help prepare for this. If you haven’t done so and there is still time, I recommend it (try a somewhat crowded college library). The kid I may have seen cheating presented a more significant challenge. I don’t recommend yelling for the proctor and stopping everything (for one thing, everyone would be more angry at you). If you want to drop a dime, wait ’til the test is over and point them out. Note that LSAC states that it is your responsibility to report cheating where you see it. However, I say let your conscience guide you. Whatever you do, don’t have a moral crisis while you should be putting pencil to paper. I had mostly forgotten about this dude a minute into the actual test. You’ve got a job to do, so don’t worry about anyone other than yourself or anything other than the test questions. Stay calm, keep your head down, and make a conscious effort to shake off any distractions that pop up along the way. You run into a game that is strange, not quite like anything you have seen before, and you are thinking to yourself this must be the experimental section. Solution: Realize that you’re not going to know which section is experimental (at least until after the exam when we’ll help you figure that out in our test day discussion posts). I have heard stories about people who guessed wrong and left a credited section blank. That must have been a total nightmare, even if they did kinda deserve it. Just because a section seems strange does not mean it is the experimental section. The point is, you don’t know. Don’t waste time and mental effort on trying to figure it out. On the other hand, if you gave it your all & still feel like you bombed a section, it can be a useful mind-trick if you can convince yourself that it was probably experimental to put it behind you and move forward. Obviously, you won’t KNOW if it was, indeed, experimental… but tricking yourself into believing that it isn’t going to count makes it much easier to push through the rest of the test without dwelling on it. I was a few minutes into doing a logic game when I realized I had misread a rule. My veins completely froze for a moment. Solution: Test day isn’t the time for reflection or self-loathing. Pick yourself up and move forward. I had noticed that particular game wasn’t going as smoothly as they usually do, so I paused to investigate the source of the problem and found where I had gone wrong. Yes, I had a moment of despair, but then I quickly calmed down. Don’t panic and barge through. The LSAT does not respond to force. Think clearly and calmly in the manner you have learned to do, and you will turn in your best score. I managed to recover and only got one wrong on the LG section. If things aren’t clicking like they usually do when you are doing a game, quickly recheck your rules and inferences, then keep going. Further, don’t agonize over perceived mistakes during the break. For one thing, it may turn out to have been the experimental section! Secondly, there is absolutely zero to be gained from such reflection. Was the mistake so bad that you have to cancel? Likely no. So get back into the ‘automatic’ frame of mind and forget it. STAY POSITIVE! Race car drivers, astronauts, and deep-sea divers have all developed methods to solve this problem, but I wouldn’t suggest going to such extremes. The nexus of the problem is this: being hydrated is essential for your brain to perform at top notch, yet it is challenging to be fully hydrated without needing to use the restroom at some point during the test. This is particularly true during the first three sections before the break. Solution: This is one thing you need to have worked out before the test. Know precisely how much liquid you can get away with drinking without developing a desperate need to use the restroom during the exam. You will need to go perhaps a little less than 2 hours without drinking and without a bathroom break, so start performing experiments in the prior weeks to figure it how much water to drink right before you head into the test room. I guarantee most people will choose to be slightly dehydrated, but this is the wrong approach. It’s better to have a somewhat distracting need to go right before break than being underhydrated. 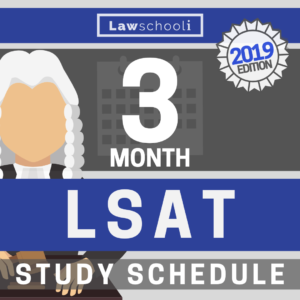 It’s the final section of the LSAT, and you are starting to lag just a little bit. Solution: Do not scan the room for attractive fellow LSAT takers or drift into a reverie. Shake it off and get back to work. If you tend to run out of steam towards the end, I recommend the following: In between questions, look up from the book and close your eyes for just a moment. Maybe only the amount of time it takes to inhale and exhale once, then get back to work. Remember, too, that the best way to avoid final section fatigue is by developing your stamina in the weeks leading up to the test by taking plenty of full timed preptests under test day conditions. The day of the exam shouldn’t be the first time you are taking five timed sections of LSAT questions in a ~3.5 hour period. Read more on how to stay focused here and here. Solution: Just sit there and follow instructions. Don’t do anything stupid now that will get a note in your file. After you are out, do anything you want to! Just remember that if you have followed my other advice, you probably haven’t had a night out in a while. As a result, be cautious, so you don’t overdo your post-LSAT celebration. Remember to congratulate yourself! At least for a little while, you don’t even have to think about the LSAT. If there is anything that I forgot, please let me know in the comments or on twitter @onlawschool Best of luck to those taking soon! Next Article Easiest Bar Exam to Pass in the U.S.